FMCI convenes stakeholders to identify, research, and streamline resources focused on the FMCI mission. Alignment is a key priority for FMCI: alignment across all partners and with neighborhood priorities. FMCI partners break down the silos of working in isolation to address the needs in the community. 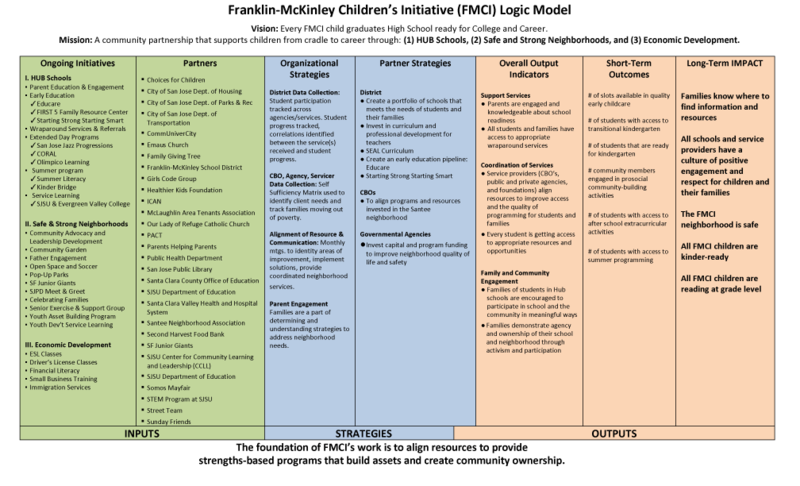 FMCI’s Logic Model is the first step toward developing a roadmap that outlines how to create this desired change for the Santee neighborhood. A Logic Model is an essential part of any successful community transformation effort.